A dam in Glen Canyon was studied as early as 1924, but these plans were initially dropped in favor of the Hoover Dam (completed in 1936) which was located in the Black Canyon. By the 1950s, due to rapid population growth in the seven U.S. and two Mexican states comprising the Colorado River Basin, the Bureau of Reclamation deemed the construction of additional reservoirs necessary. 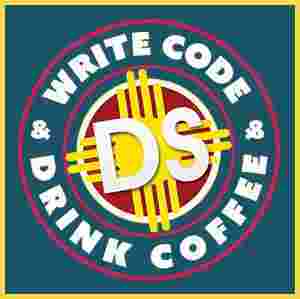 However, the USBR faced opposition when it proposed the Echo Park Dam in Utah’s Dinosaur National Monument, which the nascent environmental movement saw as a legal threat to the status of protected lands. 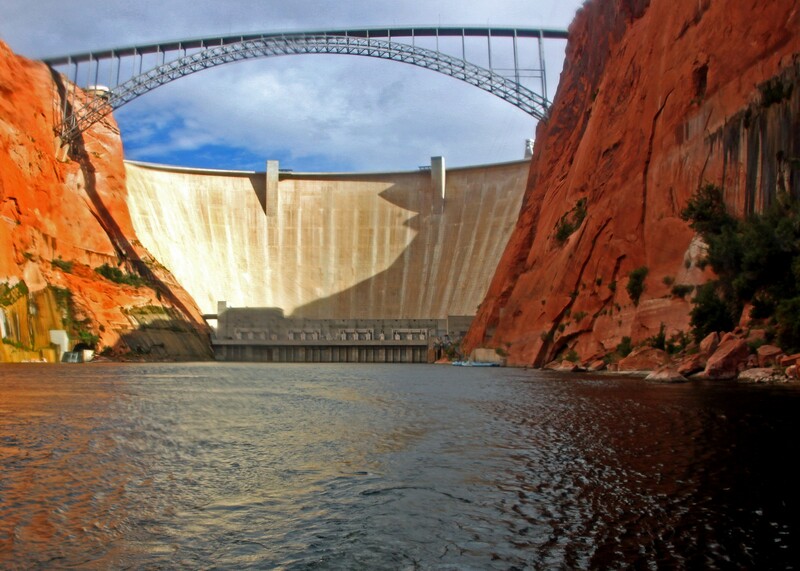 After a long fight, the USBR agreed not to build the dam in Dinosaur National Monument, but only if the environmentalists did not oppose the proposed dam in Glen Canyon. 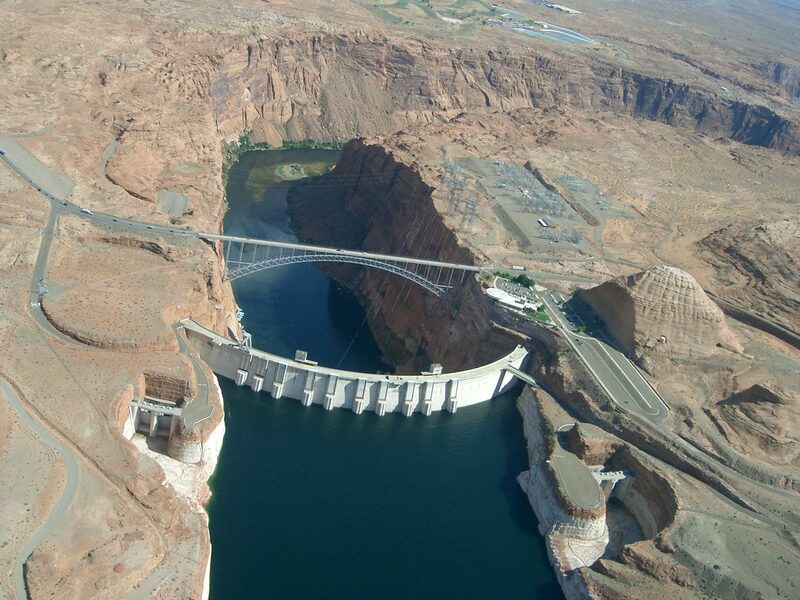 In addition to its flooding of the scenic Glen Canyon, the dam’s economic justification was questioned by some critics. It became “a catalyst for the modern environmental movement,” and was one of the last dams of its size to be built in the United States. 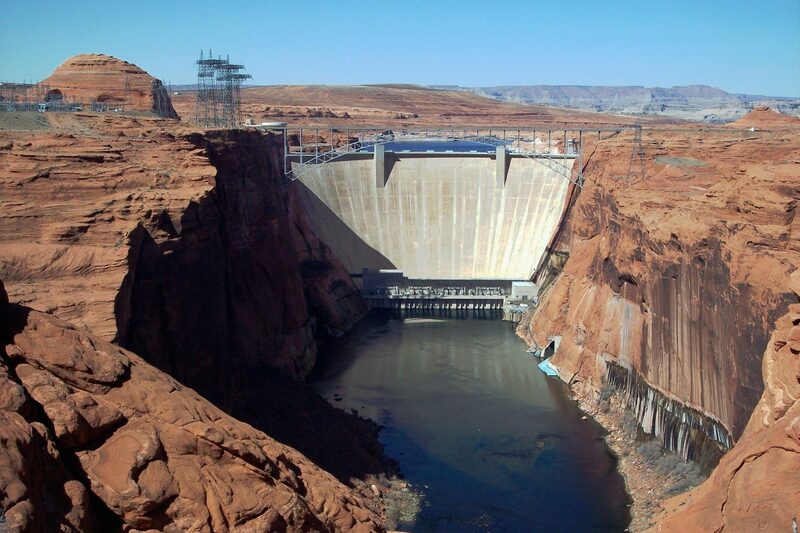 The dam has been criticized for the large evaporative losses from Lake Powell and its impact on the ecology of the Grand Canyon, which lies downstream; environmental groups continue to advocate for the dam’s removal. Water managers and utilities state that the dam is a major source of renewable energy and provides a vital defense against severe droughts.